Part I of this series, The Language of Magic, appeared in the December 2004 Translorial and addressed several of the more important cultural and language-related issues involved in the translations of the Harry Potter books. This installment covers various contractual, procedural, and otherwise special challenges that the translators faced. As July celebrations go, it cant possibly hold a candle to the pomp and ceremony of, say, the national Independence Days of countries like Canada, France, or the United States. But then, nobodys talking about those festivities the way theyre buzzing about the upcoming birthday of Harry Potter, VI. With Harry Potter and the Half-Blood Prince the penultimate book in the tale of the magical young wizardset to be published on July 16th, 2005, Potterphiles the world over are already kicking into overdrive. The rumor mills have started cranking. Chat rooms are overflowing. And after an unusually long period of slumber this time around, the sleeping giant that is Potter global merchandising has once again been awakened. Welcome to the next installment of Harry Potter, Superstar. And to the workings of the translators who are so integral to its production. Torstein Hoverstad, the Norwegian translator of Harry Potter, is among the many who have described the experience of being a literary translator as that of attempting something inherently impossible, being badly paid, and remaining virtually invisibleand thats if youre successful. Yet still, in our celebrity-addled world, it is hard to imagine that theres not at least a certain cachet that comes with being a Harry Potter translator, increasingly basking in the ever-widening glow of rock-star author J.K. Rowlings fame, fortune, and adulation. This cachet does, in fact, have some truth to it, but the reality is often far different from our perceptions. In Part I of this series, we saw how the Potter translators had a certain freedom to decide for themselves on matters of linguistic integrity, most notably in whether or not to translate Rowlings marvelously whimsical and inventive names. Torstein Hoverstad believed that everything in the original that could be translated should be translated. Many of the 60-odd other translators, however, opted for a much less aggressive posture in the matter, leaving many of the names in their original forms. Much of this, although admittedly not all, has had to do with the entrance of Warner Brothers into the picture. 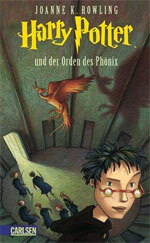 In 1999, around the time of the publication of the third book in the series, the media conglomerate purchased the rights to the entire Harry Potter franchise, in effect buying creative control for how all subsequent items in the seriesmovies, toys, video games, and of course, foreign book translationswould be marketed. With this came the companys attemptlargely successful, it should be notedto impose on the translators a contract that would oblige them to give up many of the translation rights that they had originally held. In addition to restricting or even forbidding the translation of nameswhich would make it easier to conduct global marketing campaignsthe contract generally redefined the terms of agreement, including remuneration and deadlines. Those translators who had the most flexibility in negotiating these conditions with their individual publishing houses were those, like Hoverstad, who had completed translations before Warner Brothers appeared on the scene. At the other end of the spectrum, however, the resolution tended to be far harsher: in one notable instance, the Catalan translator of the first four novels, Laura Escorihuela, adamantly refused to give up her rights by signing the contract, and was thus barred from translating subsequent Harry Potter books. And what do Harry Potter translators get paid for their efforts? It varies, of course: while royalties are rare, the rate can range from below market in countries like China, to slightly above the standard market rate, to even fairly generously above it in some European countries. Even in the latter case, however, most of the translators will still say that they are paid like well, like translators. Although a five-month period has not been unusual for the most recent, very long volumes, there is often pressure from Warner Brothers to have the translations completed much more quickly. 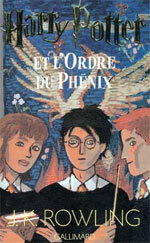 Jean-François Ménard, the French translator, translated the 700-plus page fourth book, Harry Potter and the Goblet of Fire, in just 63 days. Torstein Hoverstad negotiated a bonus percentage with his publisher if he was able to finish the same book in a similar two-month period. (He did.) And Hanna Lutzen and Victor Morozov each formulated plans to translate the even longer Book V, Harry Potter and the Order of the Phoenix, into Danish and Ukranian, respectively, in the same eight-to-ten week timeframe. Gili Bar-Hillel, the Hebrew translator, agrees that the pressure is intense but in her case believes that this actually contributes to the quality of her translations, for two reasons: first, she must by necessity be single-mindedly focused on the task, and second, everyone around herincluding her familyis geared to helping her work as fast and as effectively as possible. Even in the face of such pressures, the translators tend, on the whole, to work alone (although their work is of course checked by the publishers professional editors and proofreaders). Lia Wyler refused to hire an assistant, saying that she would in effect need a clone of herself, someone with an identical, Brazilian Portuguese background, right down to her neighborhood and her accent. Language is collective, she says, but vocabulary is extremely individual. Even when confronted with difficult linguistic problems, the translators often must rely on their own ingenuity and creativity (and dictionaries) to solve them. Contact with J.K. Rowling is not an option, as the author has generally not made herself accessible to the translators, nor has her agent been especially forthcoming on problematic areas of the translations. Publishers demand speed for another reason: the existence of pirate, or unofficial, translations, that are often collaborations of Potterphiles on the Internet, and which can be published months ahead of the sanctioned version. In China, several Harry Potter fans started to translate Harry Potter and the Order of the Phoenix two months before the publishers paper edition was due to appear, updating it on the Internet at a rate of 10,000 Chinese words a day. Although these counterfeit translations are for obvious reasons of a generally inferior quality, they demonstrate the zeal of Potter fans to get their hands on the stories as quickly as possible. A somewhat more satisfying, but no less vexing, issue is that of the hordes of Potterphiles who care so much about the books that they read every word as if they were professional proofreaders or editors. Within a week of the Israeli publication of Book V, Gili Bar-Hillel already had a list of four mistakes that readers had found, including a missing period, a missing letter, and two minor spelling mistakes (all of which were corrected in subsequent printings). This was nothing, however, compared to the ten-year-old bilingual Brazilian child who challengedquite publicly and aggressivelyLia Wylers Portuguese translation of the word muggle! Beyond the contracts, the money, and the deadlines, the Harry Potter series presents one final, and unusual, challenge: it is an unfinished story; the fact is, some things are simply unknowable until J.K. Rowling puts the final period at the end of the final sentence of the seventh book. 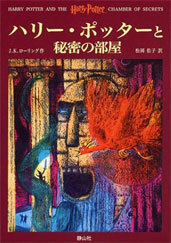 None of the translators was aware there would be a second book until each had completed work on the first. Lia Wyler acknowledges that this fact would certainly have influenced her reinvention of certain proper names. The Spanish translators did, in fact, go so far as to make a mid-course correction: they had translated Professor Sinistra as (a masculine) Profesor Sinistra, and had to make a quick gender change to Profesora Sinistra when they found her dancing with Mad-Eye Moody in Book IV. ©2005 Steven Goldstein/Translorial  Reproduced with permission from the author and Translorial, the journal of the Northern California Translators Association. Free electronic copies of Translorial can be read/downloaded from the NCTA website: www.ncta.org, from the Translorial archive page.